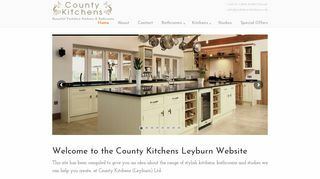 County Kitchens of Leyburn – Showroom offers design and installation for kitchen, bathroom or bedroom. Leyburn, North Yorkshire, England. – Showroom offers design and installation for kitchen, bathroom or bedroom. Leyburn, North Yorkshire, England.